This article has been work in progress for quite some time and I finally figured I might as well post it up and get some feedback on it and see if anyone has something to add to the article. If I'm missing a reference or something, like say you have a white dwarf with an article on the Imperial Fists, then don't just tell me about it, gimme the info! Post up a summary/paraphased version in this thread or send me a PM with the info so I can properly add it to the article and make sure its as comprehensive as possible! That said I hope everyone enjoys the read and finds the article useful. The Imperial Fists have a long and glorious history dating back to the very founding of the Imperium. The Imperial Fists have stood at the forefront of many of the greatest campaigns in the history of the Imperium and the legends of their battles are known far and wide. The Praetorians of the Emperor the Imperial Fists of Rogal Dorn are exemplars of the values and ideals of the Adeptus Astartes to rival the Ultramarines and few can boast the resources, skills and accomplishments of the mighty Fists of Dorn. This article is an in depth look at the history and origins of the Imperial Fists and their Primarch Rogal Dorn. The origins of the Imperial Fists are back during the Great Crusade, the Emperor sallied forth from Terra with the 20 First Founding Legions at his back, to re-unite the scattered colonies of mankind, locate his missing sons and cleanse the galaxy of the taint of the xenos and the mutant. Most of the Primarchs were discovered on a homeworld, leading the native population into new eras of peace and prosperity. Rogal Dorn however was unique among the Primarchs in that he presented himself to the Emperor, rather than the Emperor seeking him out. As the Crusade forces reached the Ice Hives of Inwit, Rogal Dorn met them aboard the mighty warship known as the Phalanx. The size of a small moon and capable of docking whole squadrons of cruisers and escorts, the Phalanx is reputed to be the largest warp capable vessel in the Imperium rivaling the Rock of the Dark Angels in size. Dorn presented this mighty ship to the Emperor as a gift. In return the Emperor gave command of the 7th Legion of the Adeptus Astartes to Dorn, the gene-sons of the Primarch and returned the Phalanx to serve as the Imperial Fists Fortress Monastery. The Imperial Fists recruited heavily from Inwit and as they moved on over 70% of the Legion's strength was aspirants from the Ice World where Dorn was reputed to have grown up. The early join of battle brothers and Dorn forged a bond between Primarch and Marine closer than any of the other Legions managed during the Great Crusade. The Imperial Fists recruited from Terra brought the traditions of earth with them, including honor duels fought with swords. To this day the Fists and their successors still practice these duels and even gather every century in a Feast of Blades where Champions duel for right to call themselves supreme. The Imperial Fists won great fame and achieved many successes early in the Great Crusade. The 7th Legion acted as a strategic reserve, quickly bolstering forces where necessary and delivering decisive strikes against the Crusades greatest foes. The Imperial Fists careful planning let them excel at siege warfare and their endurance and stoic determination made them superb city fighters. Throughout the Crusade the Imperial Fists acted as the Emperor's Praetorians and when he returned to Terra to build a capitol worthy of the Imperium, Dorn and his Fists went with him. The Emperor charged Dorn with fortifying the Imperial Palace, a task that did not go unnoticed by the other Primarchs and was met with open hostility by Perturabo of the Iron Warriors who felt the honor should have been his. Dorn did not seek glory or fame, unlike Horus or the Lion, and while some resented his closeness to the Emperor most of the Primarchs and commanders of the Great Crusade held Dorn in high esteem. Horus sought Dorn's council on matters of politics and war when he was appointed Warmaster, and when other Legions had to save face the Imperial Fists would step in to get things done. It was the Imperial Fists who made up the honor guard for the burial of the "Emperor" slain by the Luna Wolves during the later actions of the Great Crusade when the Luna Wolves honor dictated they could not perform such a function. On Macragge, the homeworld of the Ultramarines, a statue of Dorn stands aside that of Guilliman along with three others in the Hall of Heroes. Jaghatai Khan gifted Dorn with a dozen of his finest stallions after the defeat of Horus as a sign of eternal brotherhood. A marked exception however is Dorn's relationship with Perturabo and the Iron Warriors. Oh Schravann the Iron Warriors stormed the final refuge of the Badoon, breaching the defenses and holding them while the other legions cleansed the fortress. During the victory feast Horus claimed Perturabo was the greatest master of siege warfare in the Crusade. Fulgrim asked Dorn if he thought the Imperial Palace could resist the Iron Warriors to which Dorn replied after careful consideration that he felt the Palace was proof against any foe if well manned. At that statement Perturabo flew into a rage and screamed obscenities and accusations at Dorn so baseless that listeners were shocked. After this event Dorn and Perturabo never fought alongside each other, the Imperial Fists ever at the Emperor's side and the Iron Warriors at the vanguard of Horus' advance. When the Imperial Fists achieved an impressive victory over the vile Orks in the ash wastes of Necromunda, the grateful Hive Lords gave Dorn permission to recruit from the population of Necromunda in gratitude for the Imperial Fists assistance. A Fortress-Chapel was subsequently built but the Fists remained as guests not masters. Dorn demanded no special rights or privileges. 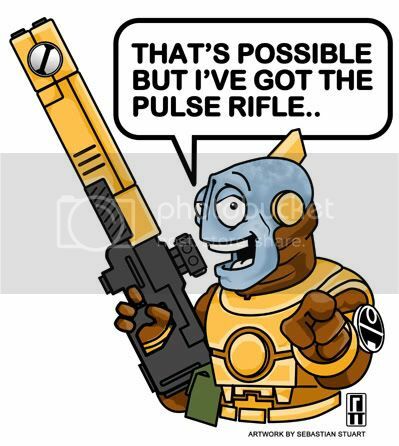 Some Primarchs such as Perturabo took every opportunity to garrison a world and demand its tithes but Dorn is famous for saying "I want recruits not vassals," and the Imperial Fists were satisfied remaining as a mobile military unit with none of the civil responsibilities that came with an official home world. To this day the Imperial Fists remain a fleet based chapter, and though their listed home world is Terra and the Chapter maintains many fortress outposts scattered across the Imperium they have no dedicated base of power and do not take direct charge over any world or system but draw recruits from many worlds. This allows the Imperial Fists to draw fresh recruits wherever they may be campaigning but means that they do not have to defend a static home world or have the threat of their home being invaded. When Horus showed his true colors at Istvaan III, it was Captain Nathaniel Garro of the Death Guard who carried word of the treachery to the Emperor. Garro escaped Horus' fleet aboard a frigate named the Eisenstein, but the Captain and his command squad numbering roughly 70 marines total found themselves stranded in the middle of nowhere, their ship crippled and the navigator dead. Garro was determined to warn the Emperor however and took drastic action, detonating the warp cores of the ruined frigate. This action had an unforeseen consequence for at the time Rogal Dorn and the Crusade Fleet of the Imperial Fists was trapped in the warp en-route to Terra. The detonating warp cores blasted a path through the warp, scattering the storms and allowing the Imperial Fists to locate the damaged frigate and escape the encircling storms. Destroying the shattered wreck of the Eisenstein Dorn took the loyalist survivors aboard the Phalanx and made best time for the Sol system, while the rest of the Imperial Fists fleet went to investigate the Istvaan system. Prior to the arrival of Horus' forces, the Sol system was already rife with violence. Mars itself was wracked with warfare and the red planet was literally falling apart. A scrapcode virus ripping apart the infrastructure of the Forges of Mars with brutal effectiveness. Captain Sigismund led a force of four companies of Imperial Fists to capture as many suits of armor, weapons and as much munitions as possible before fleeing to Terra. The supplies Sigismund's party captured would be the last the loyalists would get until the forces of Horus were repulsed. By the time Horus invaded Terra Rogal Dorn and the Imperial Fists were manning the defenses of the ruined Imperial Basilica, while Sanguinius and the Blood Angels stood with the Emperor in the Imperial Palace, and Jaghatai Khan and his White Scars sheltered in the labyrinth of habitation structures. When battle was joined the White Scars harried the flanks of Horus' forces and the Imperial Fists defended the basilica, but despite the entire Blood Angels Legion and three Titan Legions the defenses of the Imperial Palace could not defend against the fury of the combined might of Horus' forces. Facing the Thousand Sons, World Eaters, Emperor's Children, Death Guard, Sons of Horus and a force of Word Bearers the Blood Angels and the Imperial Army forces were horribly outnumbered, without even considering the horrific daemonic forces that ripped their way into the material realm to fight beside the traitors. Sanguinius fought as a true angel of death, throwing back the attackers again and again and rallying the defenders against overwhelming odds but numbers began to tell in the end and as Sanguinius held the Ultimate Gate into the Palace itself Dorn and the Imperial Fists took the legendary Sky Fortress and made a daring breakthrough to join the Blood Angels in the defense of the Palace. The Sky Fortress smashed through the traitors lines and unloaded Dorn and his reinforcements but on its way to pick up Jaghatai Khan and his White Scars at the Lion's Gate Spaceport the Fortress was shot from the sky by the combined weapons of the Deaths Head Titan Legion. The loss of the Imperial Fists Sky Fortress was a devastating blow, as such technology would never be seen in the galaxy again but its death took a toll on the attackers, blasting a kilometers wide crater in the heart of Horus' forces. Nevertheless the White Scars and the Imperial forces remaining in action across Terra were now completely cut off from the Imperial Palace and the beleaguered defenders were on their own. The defenders had just days left before Horus' forces would obliterate them but the Sisters of Silence, Arbites, Custodes, Imperial Army, Titans, and the Blood Angels and Imperial Fists Space Marines fought with a desperate fury, forcing the forces of Horus to pay a terrible toll in blood for every inch of ground. Unknown to the defenders however a reinforcement fleet bearing the Space Wolves and Dark Angels Legions was just hours away. Horus managed to block all communications but he had to do something or the Siege of the Emperor's Palace would be broken, despite the attackers best efforts the defenders would take too long to break. Horus hatched a daring plan and lowered the shields of his flagship, inviting the Emperor to attack him in his sanctum and it was a chance the Emperor could not pass up not knowing that relief was just hours away. Leaving first Captain Sigismund of the Imperial Fists in charge of the defenses, naming him the Emperor's Champion, Sanguinius and Dorn led their finest surviving warriors in a teleport assault on Horus' flagship alongside the Emperor and his Custodes. Horus was ready for them however and scattered the teleporting forces across the length and breadth of his massive flagship. Sanguinius was the first to reach Horus and in his weakened and wounded state he was no match for the infernally empowered Horus Lupercal. The Emperor came upon Horus shortly thereafter to see the broken body of Sanguinus cast aside. The Emperor and Horus fought a struggle in the flesh and in the warp, their minds and bodies locked in a titanic struggle. In the end Horus was slain, but the Emperor was broken, not truly believing his favored son had truly fallen the Emperor had held back and been grievously wounded until a lone Terminator of the Imperial Fists had stumbled upon the Throne Room. Seeing the Emperor broken on the floor the Terminator charged Horus only to be ripped apart by the Daemon Primarch in a brutal and callous psychic attack. Seeing the remorseless slaughter of the warrior the Emperor finally resolved to destroy Horus and unleashed his full psychic might. It was too late to truly save the Emperor for his body was shattered, but when Dorn found his wounded father the Primarch of the Imperial Fists carried the Emperor back to the Imperial Palace where his body was interred within the Golden Throne. At the death of Horus the surviving traitors fled Terra, raging at coming so close to victory but too weak to withstand the wrath of the imminent reinforcements. Horus may have been slain but the Imperium was in turmoil. The Raven Guard and Salamanders Legions were shattered. Sanguinius and Ferrus Manus were dead and the fires of war and rebellion were raging unchecked. Those who could still fight threw themselves into battle with enthusiasm but the Dark Angels, Space Wolves, Imperial Fists, White Scars and Blood Angels had all taken a beating for one reason or another and it was Roboute Guilliman and his Ultramarines who did the most to stabilize the Imperium and who proved most influential in ordering the Imperium with the Emperor now stuck on the Golden Throne for all eternity. While before Dorn had been ever true and just, with the downfall of the Emperor he became a vengeful son, leading the Imperial Fists dressed in black, ruthlessly leveling fortress after fortress, hunting down the traitors without mercy and slaughtering all those who turned their back on the Emperor. So it was that Dorn was absent from all the highest councils until he was summoned back when Guilliman presented his Codex Astartes and ordained the dissolution of the Legions. Dorn was shaken to the core, shocked that the Imperium no longer trusted him or his Legion and that now after the loss of the Emperor and the failure of the Great Crusade the brotherhood of the Legion would be sundered as well. Without battle to focus them the Imperial Fists hovered on the brink unsure of their future, Dorn despairing that he had not seen the Imperium changing while he hunted down the traitors. Dorn, Leman Russ of the Space Wolves and Vulkan of the Salamanders all refused the dicates of the codex, and the Imperium seemed poised to tear itself apart in civil war again. The Imperial Fists Strike Cruiser the Terrible Angel was even fired upon by the Imperial Navy for the Fists supposed heresies. It was at this time that the Iron Warriors issued a clear challenge that Dorn could not refuse by building an immense fortress and daring the Imperial Fists to attack it. Dorn meditated for seven full days in the pain glove until he saw a vision of the Emperor. Realizing that unlike he and the Fists had thought the Emperor was not dead and gone, he still watched over them from the Golden Throne. Decreeing that the Imperial Fists would all enter the pain glove as a Legion, and emerge as a Chapter, symbolically reborn, Dorn led his die-hard warriors in an assault on the Iron Warriors fortress. The battle known as the Iron Cage has gone down in history as one of great tragedy and remorse for the Imperial Fists. For not only was it a disaster, it also signaled the end of the Legion. Some however suspect that Dorn knew the outcome when he threw himself and his Legion into the assault. Some believe Dorn knew that many of his zealous warriors would never accept the dissolution of the Legion, and that by throwing themselves into the suicidal assault on the Iron Cage they would at least be granted an honorable death, for that is exactly what many of them got. The Iron Cage was a fortress straight from the depths of hell. The Iron Warriors were masters of siege and defense and Perturabo's writings had been retained by Guilliman in the Codex Astartes. But Dorn was Perturabo's equal, and furious at the defiance of the traitors the Imperial Fists launched an all out assault straight into the heart of the Iron Warriors defenses, enraged that the enemy had dared raise their heretical banners over another Imperial world. Without any planning or strategy the Fists fought with zeal, endurance, and sheer grit determination, breaking out of every trap, fighting through every ambush and breaching every defense that got in their way. Dorn led the attack, a colossus who threw back every assault. While the battle should have favored the Iron Warriors in their network of trenches and redoubts the Imperial Fists matched the Iron Warriors guile with cold fury. Brother fought brother in half flooded trenches, tearing at each other with knives and chainswords when all ammunition was expended, neither giving nor expecting any quarter. Eventually it became obvious that though the Imperial Fists suffered horrible losses, the Iron Warriors could not finish them, lacking the faith to make the ultimate sacrifice to achieve victory. During a pause in the fighting Roboute Guilliman and his Ultramarines intervened in the struggle, extracting the battered Imperial Fists and letting the Iron Warriors escape. Guilliman had decided that the destruction of the Iron Warriors was not worth the death of Rogal Dorn and has come with his Ultramarines to break up the brutal fight and drive the Iron Warriors off. With their cleansing in the fires of battle at the Iron Cage over the Imperial Fists withdrew into seclusion, letting their successor Chapters take to the field in their stead. For two decades the Imperial Fists re-organized, under the direction of Dorn the Chapter absorbed the tenets of the Codex Astartes and by the time they reappeared on the battlefields of the Imperium their adherence to the Codex was second only to the Ultramarines themselves. Early in the Imperial Fists reorganization the Legion was split into four Chapters. The three new successors were the Black Templars, the Crimson Fists and the Soul Drinkers. The youngest battle brothers departed to form the Crimson Fists, strict adherents to the Codex Astartes for they had not had the time to absorb the stubborn traits of the more veteran Imperial Fists. The most zealous battle brothers under the command of Sigismund formed the Black Templars who embarked on a never ending Crusade against the heretic, the mutant and the alien. Finally the Soul Drinkers were from those battle brothers specializing in boarding assaults and ship to ship actions. The Chapter that retained the title and heraldry of the Imperial Fists proved more amenable to the High Lords of Terra, as a mobile fleet based Chapter the Imperial Fists were capable of quick responses to requests for aid and Dorn proved more willing to assist other Imperial organizations than his brother Primarchs were. Because of this the Imperial Fists quickly built up an impressive amount of good faith with other Imperial institutions. This page used 25 queries and took 0.091 seconds.